Create a virtual exhibit around the nugget that started the gold rush, follow one man's journey to California in 1849, build a sodhouse and more with these lessons and interactives on westward expansion. John Marshall was superintending the construction of a sawmill for Col. John Sutter on the morning of January 25, 1848, on the South Fork of the American River at Coloma, California, when he saw something glittering in the water of the mill's tailrace. According to Sutter's diary, Marshall stooped down to pick it up and "found that it was a thin scale of what appeared to be pure gold." Marshall bit the metal as a test for gold. In August of that year, as evidence of the find, this piece and other samples of California gold to Washington, D.C., for delivery to President James K. Polk and for preservation at the National Institute. Within weeks, President Polk formally declared to Congress that gold had been discovered in California. In this interactive activity, students will attempt to build a sod house by making choices regarding the construction of their house. Too many wrong answers and the house will collapse! This engaging and lighthearted activity will help students understand the challenges settlers faced while trying to survive on the open prairie. OurStory is a series of modules designed to help children and adults enjoy exploring history together through the use of objects from the Museum's vast collections, quality children's literature, and engaging hands-on activities. Ideal for afterschool use, OurStory resources will allow students to think critically, to be creative, and to achieve academic standards both in and out of the classroom. 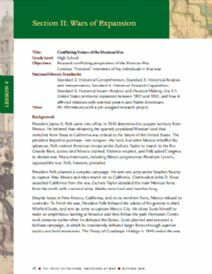 This lesson plan outlines topics for short research projects and classroom performances related to the Mexican War. Have students select individuals connected to the Mexican War, perform research, and then interview each other to showcase the disparate views on the motivations behind the War and perspectives on its outcomes. This lesson plan (which includes background information) was produced to accompany the exhibition The Price of Freedom: Americans at War, by the Smithsonian's National Museum of American History. 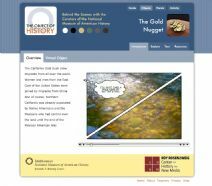 This object-based learning activity revolves around the gold nugget that began the California gold rush. 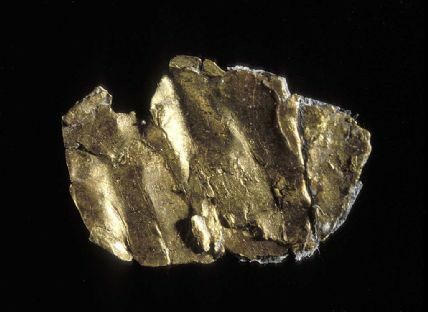 In this resource, students will learn how examining the gold nugget can help them understand the story of the gold rush and its importance to the story of westward expansion. After exploring the gold nugget and its importance as a source of historical information, students will visit the forum section of the site to hear the Museum's curators and historians discuss the object and then use what they have learned to complete the Virtual Exhibit Activity. 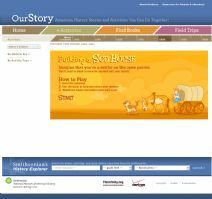 This resource is part of The Object of History, a cooperative project between the Smithsonian's National Museum of American History and George Mason University's Center for History and New Media. This website does not function properly when using Google Chrome as your internet browser as it no longer supports Quicktime. Please use another browser (e.g., Firefox, Safari, etc.) for this resource. What can we learn by studying a buffalo hide painting? In this activity, students will learn about the culture of the Plains Indians by determining the meaning of stories told on a buffalo hide painting and compare their interpretations to that of a Smithsonian historian. This activity is meant to help students learn more about Native American culture by analyzing and learning from objects; a guiding student worksheet is included. 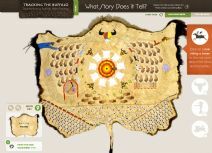 It is included in the website Tracking the Buffalo: Stories From a Buffalo Hide Painting. Investigate the authentic journal of Alex Van Valen, a man who set sail in 1849 to stake his claim in the California gold fields, to discover what life was like during the gold rush. This dynamic project from the Smithsonian's National Museum of American History includes student questions to help guide research, rich primary sources, images of artifacts and background information. The student materials can be completed on paper or using the interactive PDF format that allows students to create beautiful publications from their research. 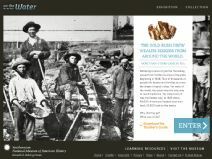 The teacher guide includes suggested discussion questions for the introduction and conclusion classes, answers to the student questions, a sheet of Frequently Asked Questions about the gold rush journal, and a summary of what Smithsonian curators learned about the journal's author. Although intended as a project, elements of the site could also be used independently to develop historical research skills.